It’s time for the latest Twitter hashtag from Jimmy Fallon. 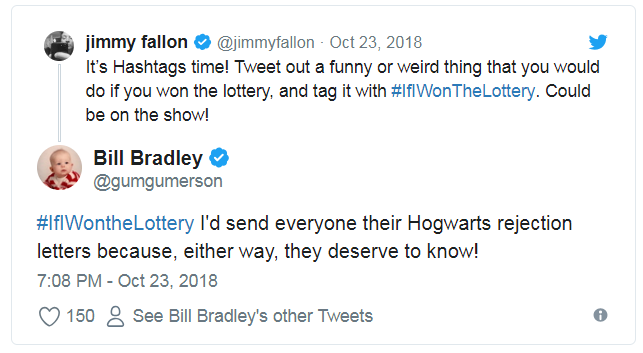 This time, the Late Night Show host asked the Twitterverse what they would do if they won the lottery. And so they tweeted back with a #IfIWonTheLottery hashtag. The Typical Student team listed our favorite tweets that we think are just awesome. Enjoy! #4 Will someone ever do that for me?